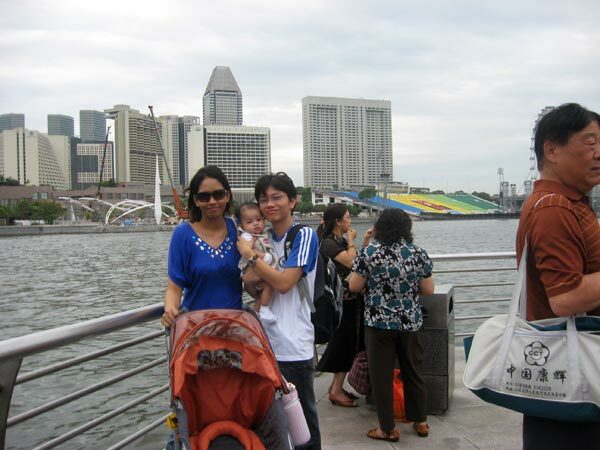 Last weekend we went to singapOre. 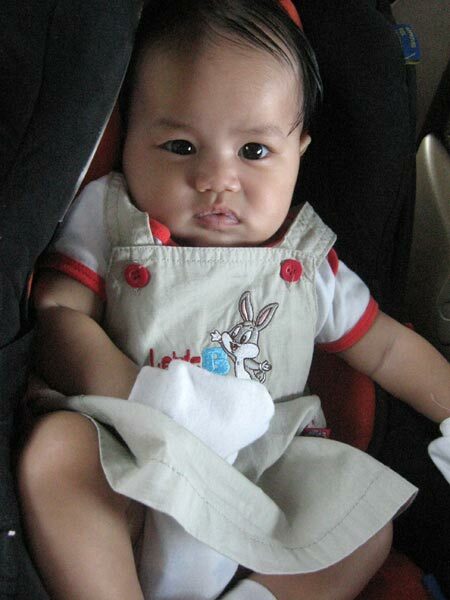 This is our first trip which include the new member of our family : budak bucuk zOey. Huhu… A very interesting and a very tiring trip! 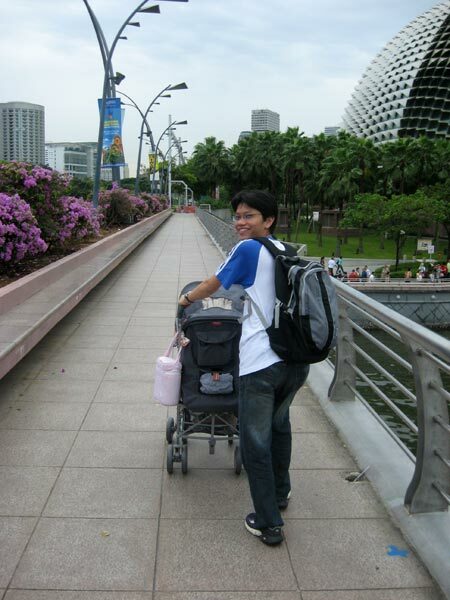 It is a lot of work to bring a baby along on a trip. Firstly you have to bring a whole load of things for the baby! 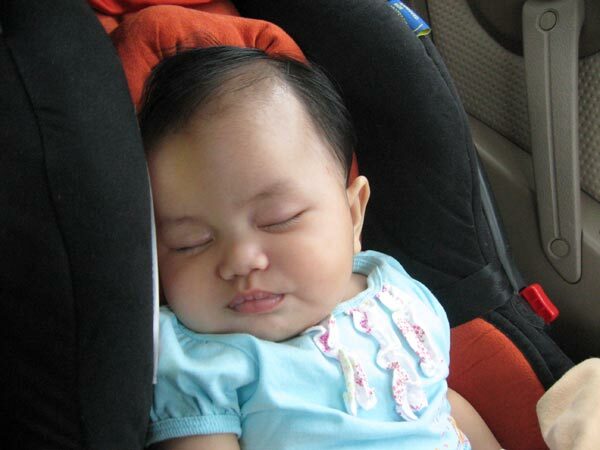 Penuh kereta beb!! Haha. Dgn stroller la..dgn pam la..dgn flask laa.. dgn baju baju napkins sumer..phew… First time I have to have a checklist before going on a trip to make sure we did not forget anything. On our way there, zOey yg usually budak yg tak kuat nangis..tetiba menangis sekuat kuat hati dekat pagOh..punye la lama..first time dia nangis camtu..yusnO was driving so I was the one trying to pujuk her at the back. Rasa macam dah ilang sabar je.. I can’t even hear myself think at that time. After 15 minutes, she suddenly stopped crying. Pastu terus tersengih sengih..pelik pelik. 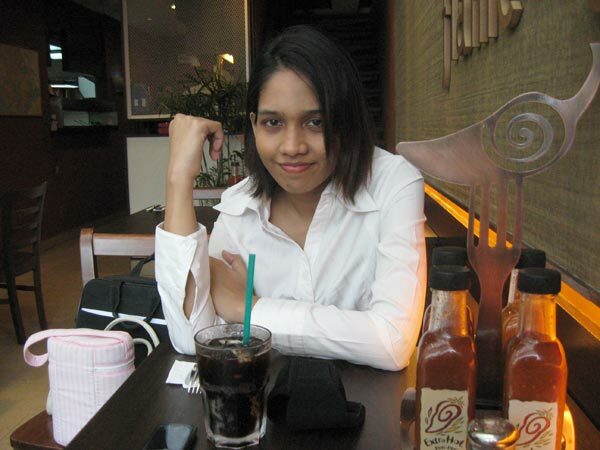 hee..my mama’s bDay smalam..celebrate at MFM. 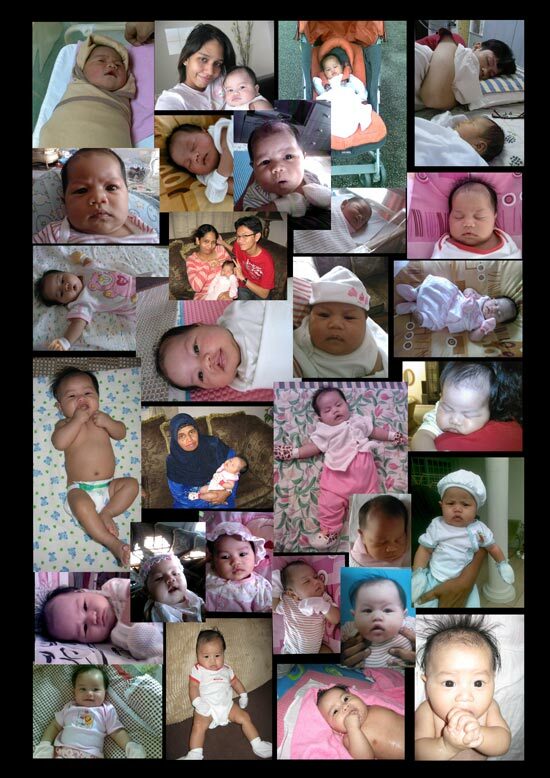 ok laaa sdap..sebab kitorang sumer lapo..we gave her a frame with many faces of zOey. happy bDay mama!!! !lOve yOu lOts! zOey is 3 mOnths old!!!! 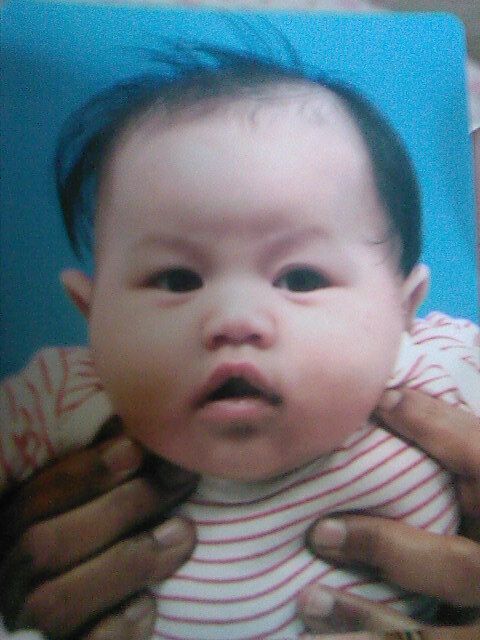 waaa..my baby gurl is big already!! 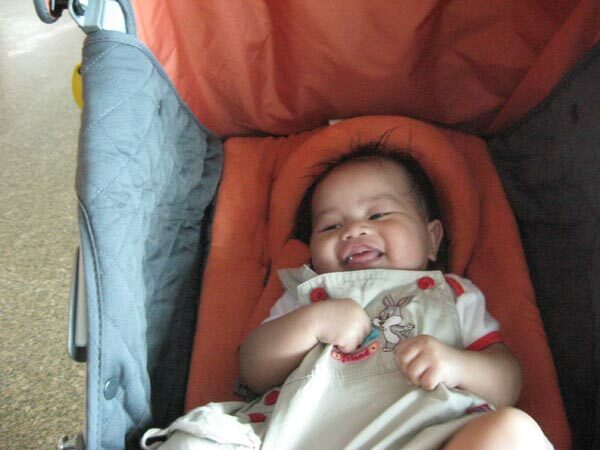 tiga bulan dah…hmm…apa dia dah leh buat yerr…well..she certainly can scream..and i mean REALLY scream!